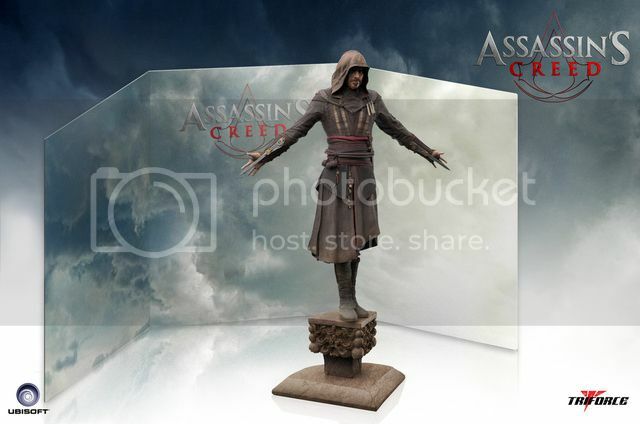 In a surprise announcement, Project Triforce has revealed a new 1/5 Aguilar Statue, based on the Assassin's Creed Movie. 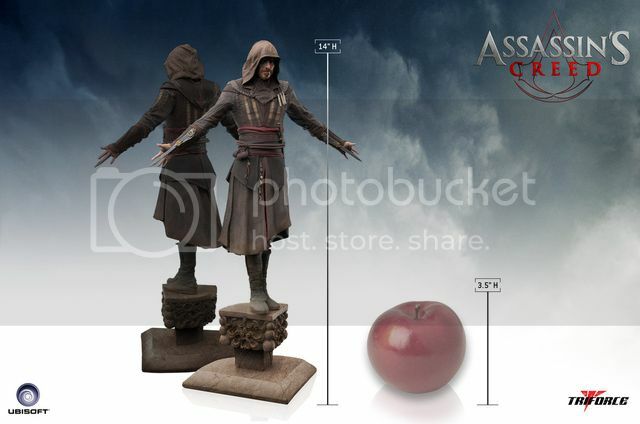 This Statue will stand at 14" tall and is made of mixed materials including PVC. This will come with an Exclusive Triptych Folder with three high quality lithographs of scenes from the movie. The reverse side doubles as a diorama background. This is estimated to ship in April 2017. I have my concerns about the shipping dates however. Project Triforce are notorious for their delays without any proper updates, though they have delivered in the past. However, with the release date just a month away, they probably already have these almost ready? Also, do note that this is definitely not the same statue that was offered on the Kernel.com website, which was priced as a package at USD$600. The Kernel.com website is currently down with reports claiming that the company has shut down completely. 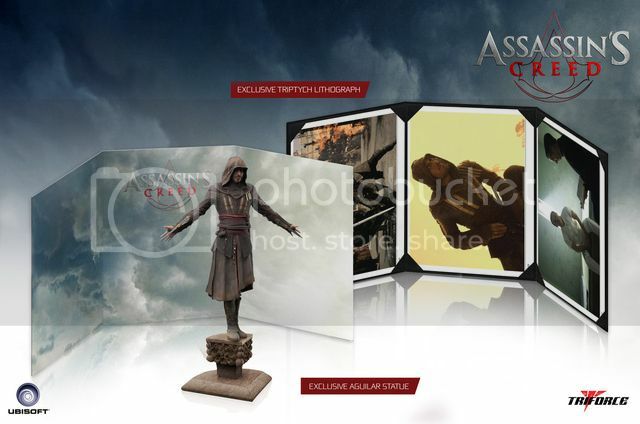 I am lucky considering I did not pre-order anything from the site but I'm aware that some collectors have paid for it. 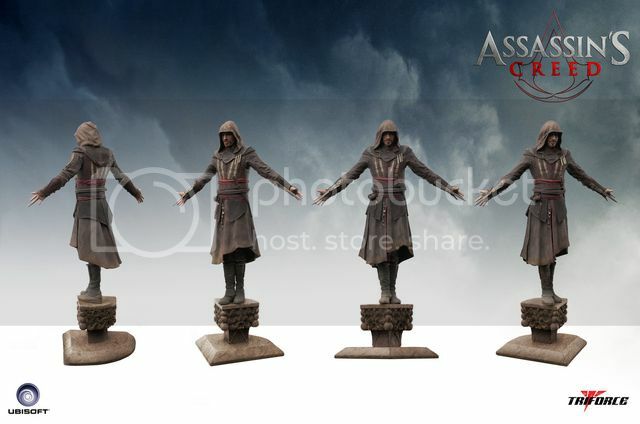 Anway, back to the Statue above.. Looks nice enough but I would like to see some in-hand pics before I purchase it. Don't want to get into a situation again where I have to wait for ages before it turns up..